I got a free copy in exchange for an honest review. 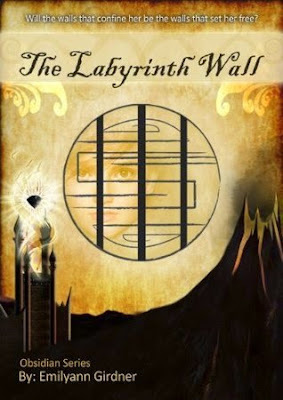 The Labyrinth Wall is an entertaining, captivating read. It's unpredictable and somehow refreshing. The pacing was just okay, bordering slow. It has the right amount of action though so it's not too overwhelming and too boring. I liked how every chapter seems to present a new challenge for Araina and her companions. It made me look forward to what will happen next. However, despite those challenges and adventures, I felt like it lacked the 'amazing' factor. I was entertained but I don't think it got me completely. The idea of a labyrinth isn't completely unique. But the small details and elements were woven together to create a somehow refreshing story. There's still so much to learn about the world they're living in. But since The Labyrinth Wall is the first book in a series, my questions may be answered in the succeeding books. Otherwise, the labyrinth, I think, is a well-created world. It's an interesting puzzle. And I'm looking forward to exploring their world more. I liked Araina's character development. It was slow and calculated. But I liked how Araina was able to trust her companion and open up, even if it's just a little. Aside from Araina, I was also intrigued by Korun and Darith. There's still so much to learn about them, as well as the other characters, so I'm looking forward to that. I especially liked how the characters were able to form a bond despite the cruel world they're living in. In a world where trust and friendship are unfamiliar, the characters were able to stick together to overcome the difficulties and challenges. I liked the style of writing. The Labyrinth Wall is easy to read. Even though, it's a completely unfamiliar world, the author was able to tell the story without me questioning what was happening. Haha! The flow of events was smooth while maintaining its unpredictability. Overall, I did enjoy the book. Again, I was not totally wowed but The Labyrinth Wall presented refreshing and interesting things. Would I read the next one? Yes. Maybe in the next ones, the story will pick-up and things will be more exciting. Nevertheless, The Labyrinth Wall is a good read. More than the adventure, it is a story about trust, relationship and being brave. Bravery in experiencing the unknown, in trying something unfamiliar, in opening up to connect to others. 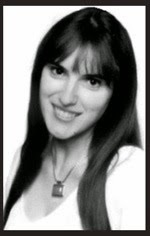 To truly understand this Author, there are two things to know about her. Emilyann hopes to share a love for others and God in all she does. She believes that imagination sparks beauty in the soul (Source: Goodreads).